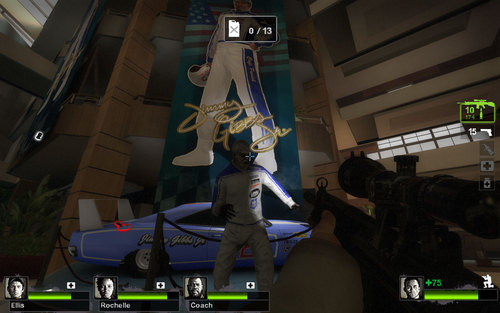 If you've played Left 4 Dead 2 and reached the finale of the first campaign, Dead Center, then you know all about Jimmy Gibbs Jr.
"He's only the greatest stock car racer of our generation... read a book sometime!" says Ellis during the finale's intro. And while we may have hoped that Mr Gibbs found a way out of the apocalypse and made it to safety, it seems that isn't the case. An enterprising modder has found a zombie model for Gibbs available for unlocking. It's incredibly easy to do, and currently, only available on the PC version. And now the greatest stock car racer of all time wants to eat your brains. Still want to have his baby Ellis? Page created in 0.2710 seconds.